The most important thing to understand is that risk is the single largest factor that merchant account providers look at when determining whether to establish a credit card processing account account for a business. Risk is determined by the potential for fraud and the number of chargebacks a business may experience. A chargeback happens when a consumer contacts their credit card company and requests a refund for a purchase they made on that credit card. It could be that the consumer didn't recognize the charge, was dissatisfied with the product or service, or never received the product or service. It's not uncommon for the consumer to bypass the merchant and directly reach out to their credit card company first. Right or wrong doesn't really matter ... when the consumer reaches out to their credit card company to demand a credit, a chargeback is initiated. This is not good for merchants because too many chargebacks can result in higher fees and even closure of their merchant account if too many occur. One way credit card processing companies protect themselves is to hold a "reserve". A reserve is basically funds processed by the business that the merchant account provider holds in a reserve account instead of transferring the funds to the business bank account. The amount of the reserve can vary greatly. It can be a small fixed amount, a large fixed amount, or even a full month of funds equal to the amount of the businesses credit card sales. The amount is determined by perceived risk associated with the busineses. 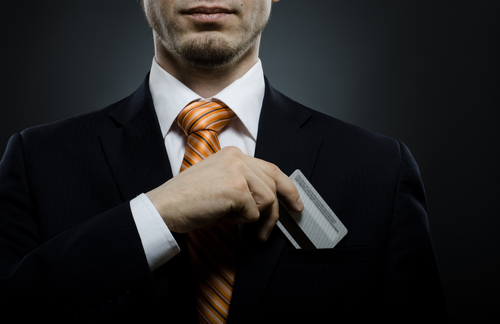 Having a reserve protects the merchant account company from future risks, including fraud and chargebacks. Businesses in these sectors are often subject to reserves, as well as higher credit card processing rates. This provides the merchant account company some protection from the higher levels of fraud and chargebacks often associated with these sectors. 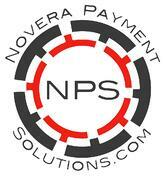 One of the most financially devastating things that can happen to a business is a merchant account hold, or freeze. When this happens to a business, they cannot access the account. The funds from open authorizations are also held without deposit for an undisclosed period of time. This means that the business cannot accept new credit card transactions and the income from recently processed transactions is not be deposited for days, weeks or longer. Despite the horror stories, merchant account freezes are usually a result of the business violating the terms of their merchant account agreement. Violations can include utilizing the merchant account for personal use, selling items that were not included or defined in the merchant account agreement when the account was setup, accepting credit card payments for other businesses under their merchant account, as well as other fraudulent activities. As a business owner, you can protect yourself from this by first following the terms of your agreement with your credit card processing provider. If something changes in your business that impacts your credit card sales, you should contact your merchant account processor right away. This might include anticipated changes in average ticket amounts or new product or service lines introduced into the business. If you are running an unusually large ticket as a one time occurance, contact your merchant account provider's risk department prior to processing the transaction and let know the details. We educate our clients about chargebacks, reserves, and holds, so they are informed and can better prevent these things from happening. If your business accepts credit cards, chances are you may have experienced a chargeback at some point. In simple terms, a chargeback occurs when a customer disputes a transaction through his or her card issuing bank. The card issuer then reverses the transaction and the merchant is left to respond to the chargeback and prove the transaction was valid in order to get the funds back. While it may be impossible to prevent fraudulent chargebacks to your business, there are a number of steps you can take to minimize the others. Ensure you have written return policy that is customer friendly. If you operate online, publish this policy on your website. If you provide physical receipts, make sure your policy is on the receipt. Make is easy to reach a human being at your business by telephone. If a cardholder has a question about about a charge appearing on their statement, they may call before contacting their card issuer to submit a chargeback. Most of the time the cardholder's concern can be addressed directly by the merchant, preventing the chargeback. If you have automatic recurring charges or subscription based services, make sure the cancellation process is easy. As time passes, a cardholder can forget about something they previously subscribed to and may call their bank to ask what a charge is. The bank often automatically issues a chargeback in this case. If the merchandise ordered by the cardholder is out of stock or delivery will be delayed, advise the cardholder in writing and offer the cardholder the option of purchasing a similar item or canceling the transaction. Do not substitute another item unless the customer agrees to accept it. Ship merchandise before depositing transaction. Don’t deposit transactions with your merchant bank until you have shipped the ordered merchandise. If customers see a transaction on their monthly credit card statement before they receive the merchandise, it could lead to a preventable chargeback. Ensure that the business name appearing on cardholder's statements matches the name you are doing business as. If a cardholder purchases an item from MyWidgetWebsite.com and the charge on their statement appears as MWW, LLC (a name they don't recognize), they are more likely to initiate a chargeback. Responding to chargebacks costs your business time and money. It pays to be proactive to prevent them from happening in the first place!